18" x 24" (C size). 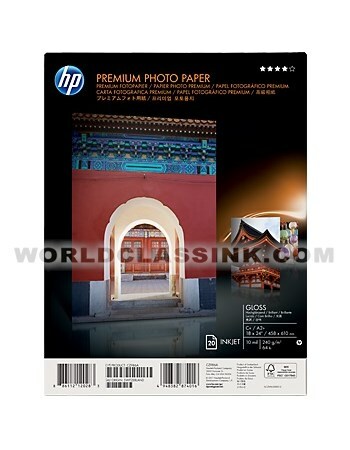 Genuine HP brand is (100) sheets per pack. 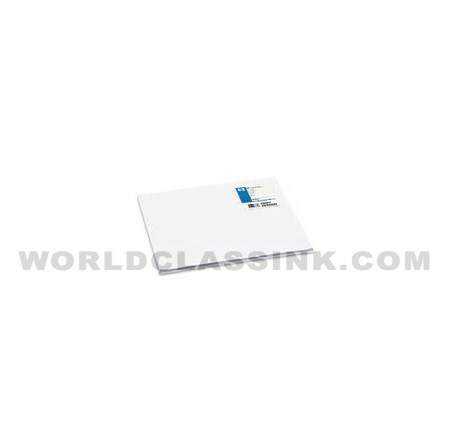 Premium Compatible brand is (200) sheets per pack. Genuine HP brand Standard weight: 26 lb. Premium Compatible brand Standard weight: 24 lb. 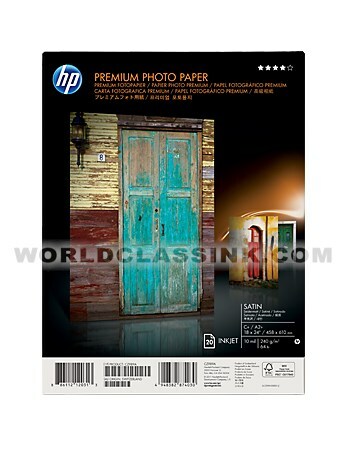 Premium plus satin photo paper.